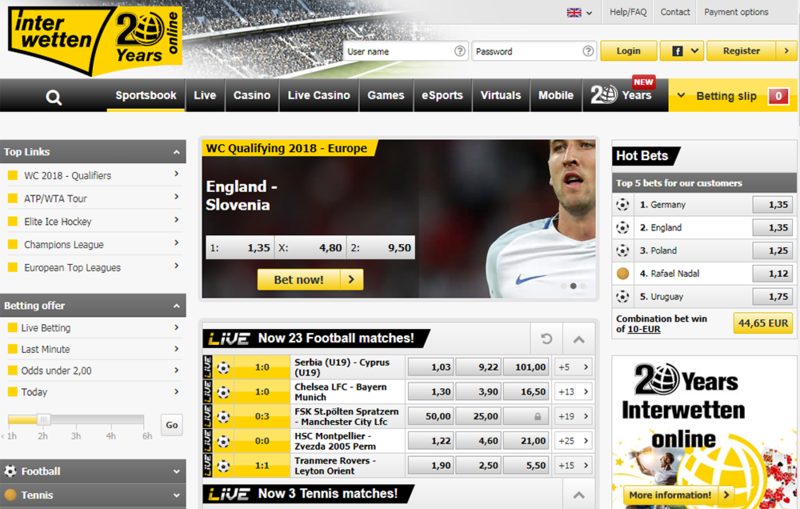 The website www.interwetten.com is available in 10 languages (German, English, French, Greek, Italian, Portuguese, Spanish, Swedish, Croatian and Turkish). Operations on www.interwetten.com are supervised by the Malta Gaming Authority and compliant with European regulations for player and consumer protection. In addition, Interwetten has been on the market long enough to know what customers expect from “their” favourite online entertainment site and we do not stop striving to impress… since Betting is our sport!